This is a big map of London we have. I love this map. 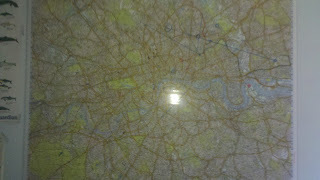 I can stare at it for ages to see how different bits of the city fit together. But now we're going to focus this bit. Richmond Park, which made news in the summer as the location a dog getting filmed chasing some deer whilst the dogs owner shouted at it. I have never been to Richmond Park. 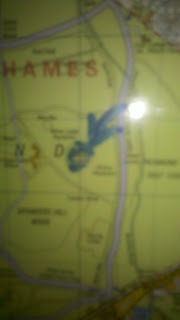 But it always catches my eye on the map (especially since I drew an arrow on it) because of this. Right, it isn't really visable, but what it says in the circle is "Queen Mothers Corpse". I find that really interesting. It doesn't say "Queen Mothers Grave" or "Queen Mothers Memorial", so therefore I can only assume that the Queen Mothers dead body is just there on display. Whilst I'm sure that the royal family could hire the finest corpse preservers on the planet, she did die over ten years ago. Is a ten year old corpse really an appropriate thing to have on display in a park? Although as I said I haven't been there, and I haven't done any other research. So it could have been removed since the map was made in 2007, or could of been a joke by the cartographer. Either way if I ever go to Richmond Park I am definitely going to search for the exhibited corpse. Update: It turns out it says 'copse', which is a small woodland. 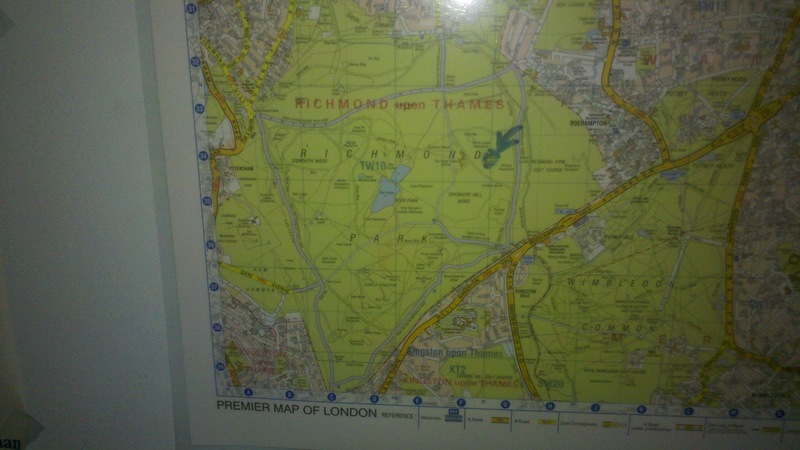 But please let's all instead imagine there is a rotting dead body in the middle of Richmond Park.